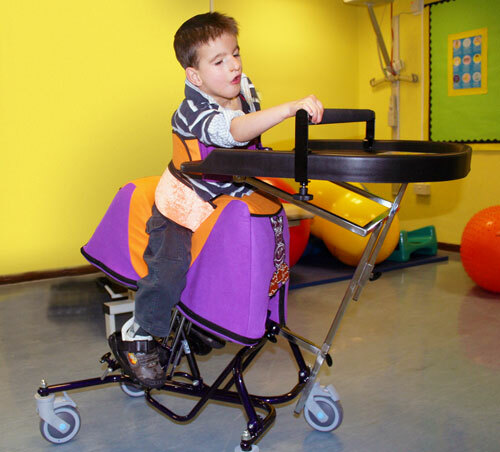 Specialised Orthotic Services visited a local Special School on the 19th of September 2013 to introduce the children to the new Equipoise Straddle Seat. As part of our continuous development program, SOS frequently allow real users to borrow our latest equipment for demonstration. 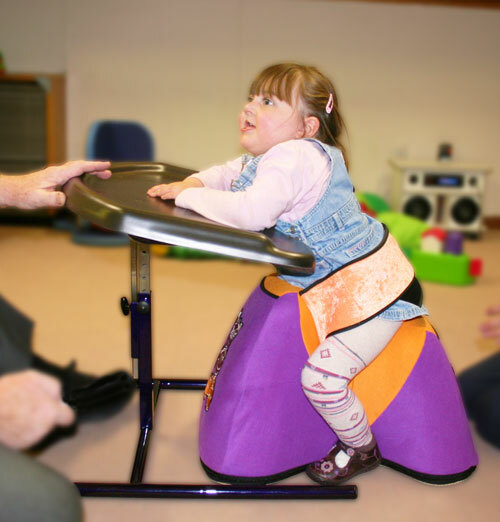 This allows physiotherapists, teachers, Occupational Therapists and parents to see and use our latest equipment and helps them to determine if a product will be suitable for their children or client in their care. We believe in providing the best possible seating service and strive to provide the best possible products. Abbie enjoying using the Equipoise floor sitting version. Available with freestanding Tray. The Equipoise is unique and offers a different take on functional postural support by placing the client in the position adopted when riding a horse. The effect of reducing the hip flexion automatically produces a lordosis and puts the extensor muscle groups at an advantage . This places the child in an enhanced position of balance and minimises the effect of sitting with a poor centre of gravity. 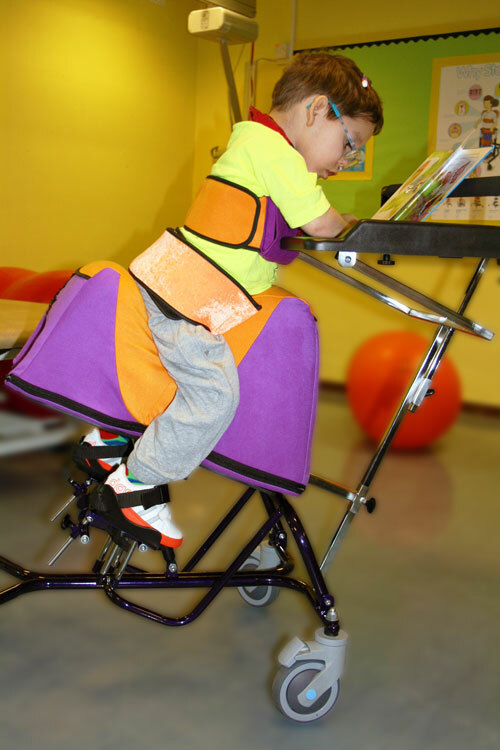 Children with poor seating balance can achieve a more stable position on the equipoise and improves seating balance and function. Billy using the Equipoise with Mobile Base. Oliver trying out the Equipoise with grab rail. We would like to thank the parents who have allowed us to take some photos. The equipoise has been left with the school for demonstration over the coming weeks so the children can enjoy using it.